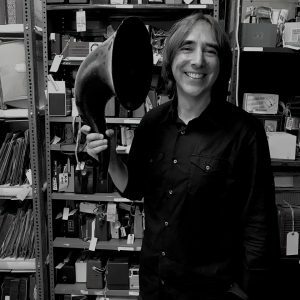 SpokenWeb Director, Jason Camlot, will be giving a presentation titled ‘Media Affordances of Literary Audio’ at the Sound Studies Institute (University of Alberta) on November 7, 2018. This presentation considers the significance of different audio media technologies and formats (wax cylinder, acetate flat disc, aluminium long-playing transcription disc, reel-to-reel tape, etc.) for the historical forms that literary sound recordings have taken over the past century.